ROSSLYN, South Africa (03 April 2018) Most of us, even those who are not mechanically minded, have a reasonable idea about the role of an internal combustion engine in a car. It burns fuel to create energy which is transformed into motion by turning the wheels of our vehicle. Many of us, however, are perhaps a little hazier on just how that energy gets to the wheels and precisely what role the gearbox plays in that operation. In fact, there are many different variations on the basic principle of a gearbox, including one, the continuously variable transmission (CVT), which doesn’t actually house any gears. The different types of gearboxes significantly affect how the car feels to drive and how economical it is, especially in stop/start motoring conditions, which we often find in traffic jams in cities around South Africa. As such, it’s critical to understand their characteristics in order to determine the right one for you. A standard automatic gearbox changes the gears without the use of a foot-operated clutch by means of a torque converter. The so-called dual clutch transmission is akin to two manual gearboxes – one for odd, one for even numbered gears – in one housing, which have been automated to allow for very rapid gear shifting, also without a traditional clutch. Like many conventional automatic, dual clutch transmission can be operated as full- or semi-automatics, i.e. using a gear stick but no clutch. Let’s assume that we all understand that as we speed up or slow down our car changes gear, whether we do it ourselves using a clutch and manual gearbox car or simply select “Drive” on an automatic and let the car make the gear changes for us. But have you ever considered why we need to change gear? One way to think about it is to consider a single speed bicycle. Such a machine has just one gear, which is fine if you live in a flat city and are happy to move at a relatively fixed speed. But with one gear, when you need to go uphill you will need to apply more force to turn the pedals. We, as humans, only have so much strength and if the hill is steep and long enough we will eventually fail to generate enough force – or torque – to turn the pedals. On a bicycle with gears, however, we are able to move the bicycle chain onto different sized cogs, both at the pedals and on the back wheel. Changing the relative size of the front and rear cogs changes the gear ratios, meaning we can use less force to turn the pedals when going uphill, although it means the rear wheel will not rotate as much for one pedal stroke as it will in a higher gear. We accept this trade-off because it is preferable to get up the hill using more pedal strokes at less effort per stroke than to run out of energy using fewer strokes that require much more effort. If we apply this analogy to a car, when setting off from rest to go uphill we need to be in a low gear, which will allow us to use higher rotations per minute (RPM), generating more torque to turn the wheels. Once the car is up and running on a flat road, there is less of a requirement for power and torque to overcome gravity, the engine therefore does not need to work so hard, so a car can be placed in a higher gear which has the effect of turning the driven wheels at a lower engine speed. As described earlier, we know that on a bicycle, while the length of the chain driving the rear wheel is fixed, the size of the cogs at the front and rear can be changed in relation to each other to provide different gear ratios. A gear ratio is what determines the number of revolutions from a power source, be it a car’s engine or the turning of a bike’s pedals, that are required to create one revolution of the driven wheel. For example, a typical gear ratio for a bicycle is 2:1. That means, for every two revolutions of the pedals, there is one revolution of the rear wheel. So how does a CVT compare to a bike’s gear system? Instead of shifting a chain between different cogs at the front and rear to alter gear ratios, a CVT uses a specially designed belt which runs between two pulleys, one attached to the engine, the other driving the wheels. The belt runs between two V- shaped channels, one in each pulley. The clever part is that both of these channels can be made wider or narrower, pushing the belt to the outer edge or bring it closer to the centre of either pulley. The effect of this is to create a huge range of potential gear ratios, all without any traditional gear cogs. And because there are no separate gears as such, the changes in gear ratio occur in a smooth, linear and totally seamless manner, meaning there is no “pause and lurch” that you may typically get when a standard automatic car changes gear. It also means that when driving up a hill, unlike in a standard automatic car, there is no sense of the transmission “hunting” up and down for the correct gear, which may in fact sit somewhere in between the two gears it is changing between. With a CVT, the optimal gear ratio to allow the car to travel at the required speed is selected and maintained automatically. This makes for both a smoother and more economical driving experience and means the engine is nearly always sitting within its “sweet spot” or optimal power band. The latest generation of CVTs has a greater capacity to ensure the fluid remains within the specified temperature range when operating for extended periods in the extreme temperatures found in the region. Naturally, no system can withstand an infinite amount of misuse, but Nissan is fully confident that once drivers understand how best to use their CVT, the system will function smoothly and reliably even in the harshest climatic conditions. Embedded software also protects the transmission, should a driver attempt to operate it in a manner which falls outside normal driver behaviour. If you have never before driven a CVT vehicle, you will find that it really is a case of “driving is believing”. 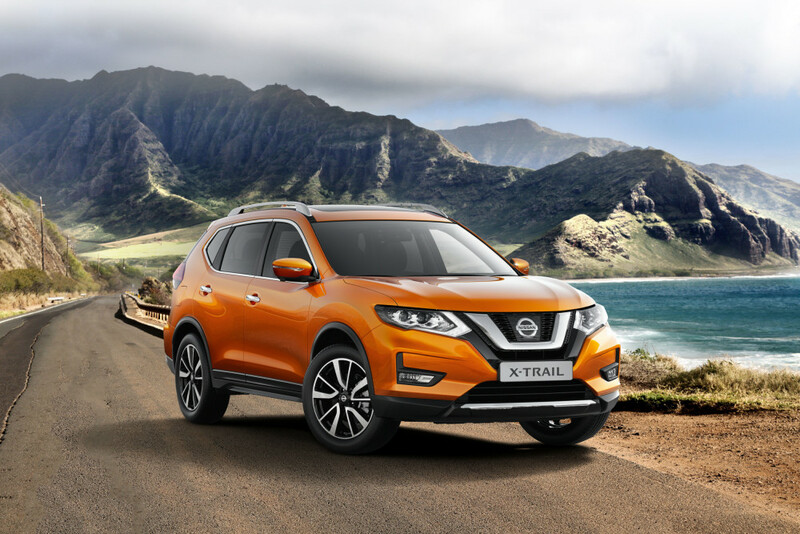 The new Nissan X-Trail has a CVT model specifically developed for South Africa’s driving conditions. CVT technology is widely used in the local market & is constantly increasing in popularity; this technology is available in the Nissan X-Trail & Qashqai, opening up a whole new driving experience, one that is smoother, more economical and more satisfying, even for the sportiest of drivers.